The concept of love at first sight appears in so many films that you would think most people felt that same way when they first met their partner or spouse. Romantic comedies and dramas portray magical moments where two character’s eyes lock for the first time and life is never the same. Sound familiar? Probably not! We are a culture that thrives on music, television shows and stories with plots like the one described above. We love romance. After all, it is entertaining and to love and be loved is what we all want. The problem, though, is that love at first sight stories and fairytale endings create unrealistic expectations about our real relationships. Sometimes we forget that relationships actually take work and that your partner does not come into your life to fix you. Although there is no right or wrong in believing in love at first sight, believing in the concept too rigidly may be keeping you single or causing you to miss out on potential partners. To read more about love at first sight and to learn two tips for staying open to love, click here to read my full article featured on eHarmony. Welcome to Rachel Dack Counseling LLC’s blog, written by Rachel Dack, a Licensed Clinical Professional Counselor (L.C.P.C.) and Nationally Certified Counselor (NCC). Rachel provides psychotherapy and relationship coaching services to individuals and couples in her Bethesda, Maryland office and over the phone. 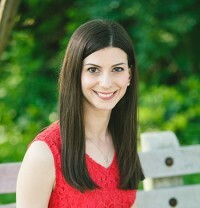 Please connect with Rachel by emailing Rachel@RachelDack.com, calling 301-655-8462 and following Rachel on twitter. Check back for more great resources, relationship advice and mental health tips! This entry was posted in Dating, Emotional Well being, Love and Intimacy, Relationships and tagged beliefs, core beliefs, dating, dating advice, eharmony, intimacy, love, love at first sight, open to love, potential partners, relationships, singlehood. Bookmark the permalink.